Rolling Thunderz specializes in developing exceptionally powerful, efficient and reliable Viper Street Performance engines and high technology Competition Race Engines with advanced performance capabilities. Rolling Thunderz Viper Performance Enhancement Systems deliver extraordinary performance increases for Viper GTS & RT/10 enthusiasts who require more than 450 horsepower to satisfy their need for speed. Our Viper SRT 10 Systems offer tremendous power and spectacular performance for owners of the latest generation Vipers, who think that 500 horsepower is not nearly enough. Rolling Thunderz offers 4 Phases of Performance Enhancements that are designed to work together as a completely reliable system to optimize engine efficiency and deliver spectacular V10 Viper performance. The Rolling Thunderz Performance Enhancement Systems & Kits can be ordered as hardware only and shipped directly to the customer or completely assembled and professionally installed by Rolling Thunderz. 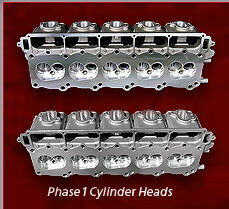 Viper Kits and Viper Cylinder Heads, please call 905 532-9996 or e-mail ned@rollingthunderz.com. The Phase 1 System offers an economical high-quality performance upgrade to improve engine efficiency and increase power output by more than 75 horsepower over the factory rating for the Dodge Viper. we succeed in providing superior Viper vehicle performance. This performance system consists of professional porting modification services and a high technology valve job with stainless steel Viper valves that are oversized with 2.02” intake and 1.60” exhaust valves. The stainless steel 2.02” intake valves and 1.60 exhaust valves help to increase air flow and produce more power by improving engine efficiency. New valve springs are installed with the use of the original valve spring retainers and valve locks and the heads are resurfaced and professionally assembled. 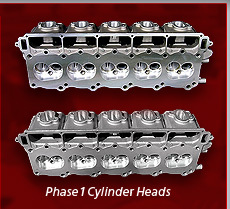 This cylinder head system enhances engine efficiency and provides a valuable and cost effective performance improvement for Viper enthusiasts who desire to have more power from a better breathing Viper engine. The Phase 1 cylinder head system is also ideally suited for older Viper engines that need to have the cylinder heads revitalized with the added benefits of having an additional 30 to 40 plus horsepower. Significant performance increases can be expected with this cylinder head system above 3000 rpm. 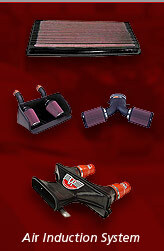 Recommended for use with 1.7 ratio rockers for optimum performance enhancement. The production exhaust manifolds on a Viper are considered to be a performance restriction, particularly for a large displacement V10 engine that requires more exhaust flow capability. The installation of exhaust tube headers can provide a significant increase in exhaust air flow and improve engine efficiency. The key ingredient for superior performance in a Viper Header is the shape of the collector, where five exhaust tubes merge into the collector pipe. 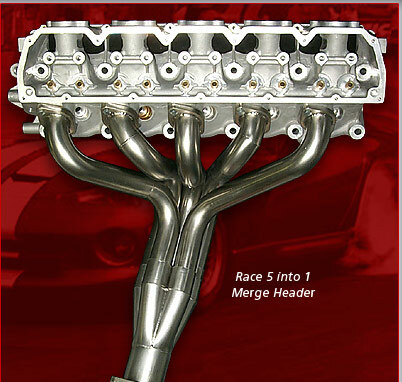 A race header style 5 into 1 merge collector, with a gradual transition, significantly improves exhaust flow by allowing the exhaust gas to maintain velocity. Sustaining a high exhaust velocity is the key to allowing the exhaust system to create efficiency and thereby produce more power. Since the Viper engine has 5 cylinders that discharge exhaust from each side of the engine, there is even greater potential to benefit from more advanced header technologically, such as the super-tuned long tube Tri-Y headers produced by Belanger. The benefits of the Tri-Y headers are that it provides a better transition of exhaust flow from the primary header tubes to the dual exhaust system, by directing the exhaust flow into 3 merge collectors, known as the Tri-Y. The gradual and efficient exhaust flow provided by the 3 merge collectors of the Tri-Y header maintains high exhaust velocity and produces superior performance for the V10 Viper engine. The Belanger Tri-Y headers have proven to deliver 50+ horsepower gains with the installation of a complete Belanger Viper exhaust system. 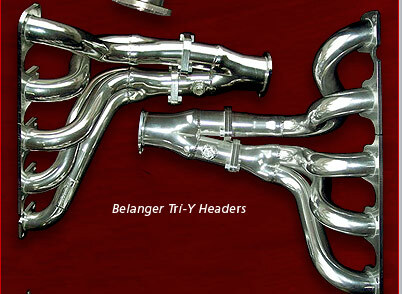 The Belanger Viper headers are technologically advanced and proven to deliver great performance. 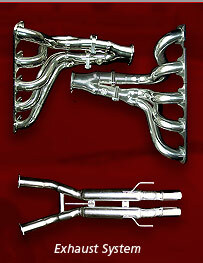 The super-tuned long tube, Tri-Y headers are mandrel bent with 1 3/4 inch primary tubes and 3 inch collectors. High temperature ceramic metallic coated inside and out and nickel chrome finished. 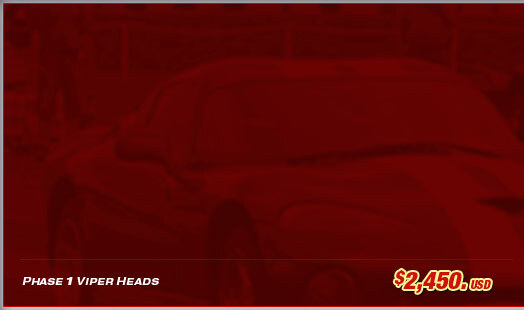 These headers are also OBD2 Compliant, which means that the headers are also designed to function properly with the Viper‘s computer so that the check-engine light does not activate after the headers are installed. 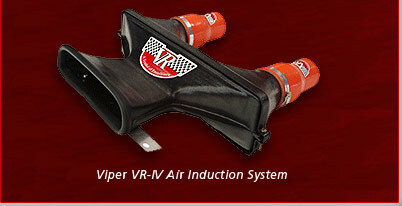 The production exhaust system for a Viper is also considered to be restrictive for a large displacement V10 engine. The installation of a high-flow exhaust system with larger diameter exhaust pipes and low restriction mufflers will improve the Viper engine’s breathing capabilities and significantly increase power and performance. High flow Catalytic converters also help to flow more exhaust and produce more power. This competition shaft mounted rocker arm assembly is specifically designed for the V10 Viper engine with high ratio rocker arms that provide more valve lift and more efficient valve motion. The 1.7 ratio shaft mounted rocker arms open the valves higher than production 1.6 ratio Viper rocker arms to improve engine breathing. The increased intake valve lift helps to flow more air into the Viper engine and the increased exhaust valve lift helps to flow more exhaust out from the V10 engine. The shaft mounted rocker arms also promote better and more efficient valve motion by creating more precise valve-train geometry. The needle bearing equipped rockers also help to reduce friction and provide improved efficiency. The increased valve lift and more efficient valve-train motion produces more power and improves V10 Viper engine performance. The T&D Competition Rocker Arms are the product of years of testing and refinement. T&D rockers are designed with Computer Aided Design and CNC manufactured to ensure precision for each application. 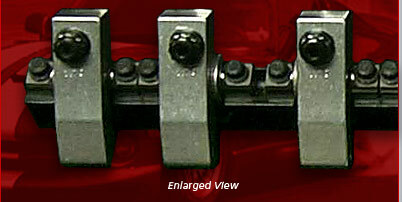 Competition Shaft Mounted Rockers are available for the 2nd and 3rd Generation Dodge Vipers. The 3rd Generation Viper SRT-10 rockers are different from the original assembly for the RT/10 and GTS. Rolling Thunderz worked with T&D machine products to develop the new shaft mounted rockers arms for the Dodge Viper SRT-10. Induction system airflow improvements will help to increase power and improve performance. Air filter systems that use low restriction high flow air filter elements provide more air flow. 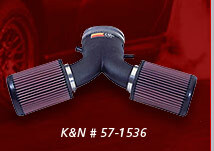 The K&N high performance air filters # 33-2085 (2 required) improves air flow to produce more power. Plastic, rubber or polymer materials retain less heat and flow a greater volume of cool air. The K&N Fuel Injection Performance Kit # 57-1508 for 1995 to 1998 Viper RT/10 & GTS models is reported to produce 13 hp at 5300 rpm. Smooth bore inlet tubes increase air flow with less turbulence to provide more horsepower. The Mopar (P5007362) black smooth bore hoses fit all RT/10 & GTS models. 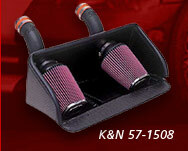 Air intake systems with better aerodynamic shape promote more flow and increase power. The Vararam VR-1V Viper Air Induction system is a multiple venturi design that is more than 100% efficient and capable of flowing over 2000 cfm. This air intake system seals to the inlet side of the hood scoop to provide a ram air system that is reported to increase manifold air pressure by 3/4 of pound which can produce 15-17 horsepower at 70 mph. Vararam guarantees a performance improvement of either 3 tenths of a second or a gain of 3 mph in a ¼ mile drag test when compared to the stock production Viper air intake system. The use of a thermostat with a 180 degree opening rate helps to reduce engine operating temperatures. This reduction of engine operating temperature helps to flow cooler air into the motor and since cooler air is denser, more oxygen is available for the combustion process. Reducing air intake temperature by 10 degrees can produce a 1% increase in engine power. The ignition system should provide a high level of spark energy to provide an efficient combustion process that effectively burns the air & fuel mixture in all 10 cylinders. deliver better combustion efficiency and provide smoother idle, extended mileage and increased performance. High performance 8.5 mm sparkplug wires are made with high temperature material for increased durability. These suppression type spark plug wires are also compatible with the engine computer to ensure proper ignition system operation. 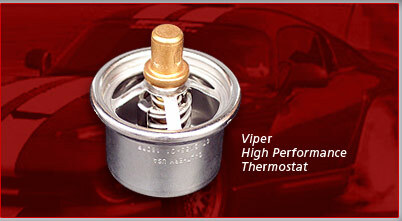 New Champion spark plugs are original equipment for the Dodge Viper and designed to work in the V10 Viper engine. Rolling Thunderz also provides a Phase 1 Performance Enhancement Viper Kit that includes our Phase 1 Cylinder Heads and the T&D 1.7 ratio shaft mounted Rocker Arms. The Phase 1 Cylinder Head and 1.7 ratio Rocker Kit will provide a very significant performance improvement and power increase of 40 plus horsepower with stock exhaust. 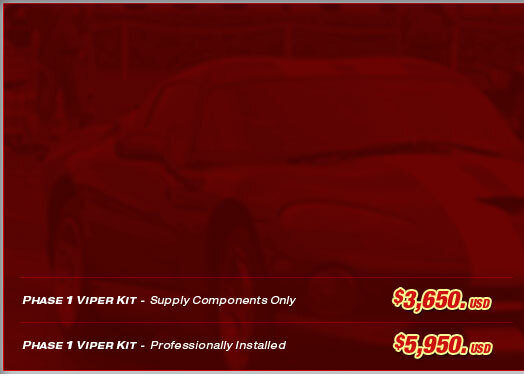 This kit delivers great performance for Vipers that already have exhaust system upgrades. 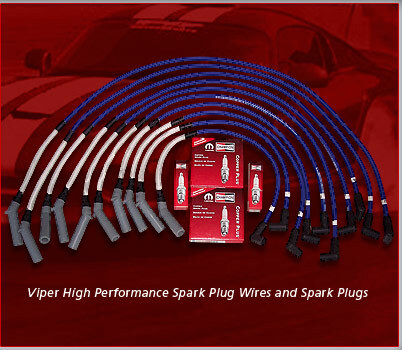 The Phase 1 Kit is very well suited for older Viper engines that require revitalization. The Phase 1 Cylinder Heads are modified to improve intake and exhaust airflow to generate more power from a better breathing and more efficient Viper engine. New stainless steel 2.02 inch intake and 1.60 exhaust valves are installed. A competition valve job is accurately machined to custom specifications. The intake and exhaust ports are ported and polished. The combustion chambers are ported and polished. The heads are resurfaced to a minimum .010. New higher performance valve springs are installed and professionally assembled with the valve locks and retainers that are originally equipped with the Viper heads.